Older people looking to divorce face unique issues younger couples do not such as health concerns, losing parents and friends, and other concerns. One of the biggest factors in a late-life divorce is the lack of time to recover from a divorce financially. Your assets are generally divided with your spouse upon divorce and one of the major assets you might own is your house. Dividing retirement benefits can be a complicated issues as well. Sometimes separate court orders known as Qualified Domestic Relations Orders are involved with dividing retirement benefits. A divorce attorney should help you decide when you can receive distributions awhile avoiding tax penalties, if you can obtain survivor benefits if your spouse dies even after the divorce, or whether you are entitled to any contributions made to retirement plans after the divorce. Social security benefits are another issue for older couples who divorce. You should know that if you were married for more than 10 years and you are now 62 or older, you can collect retirement benefits on your former spouse’s Social Security record even after your divorce. You should also take into account any estate planning you may have done while married and adjust your will or retirement plan accordingly after a divorce. There are several other factors that deserve consideration for those divorcing later in life. 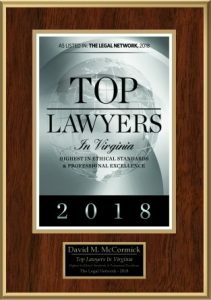 Consult with our Virginia Beach divorce attorney to make the best moves to secure your finances today.